Hyundai Tucson, Kia Soul and Kia Sportage vehicles allegedly at risk of stalling engines and fires. March 11, 2019 — Hyundai GDI engine problems have caused a proposed class action lawsuit that alleges defects exist in 2011-2013 Hyundai Tucson, 2012-2016 Kia Soul and 2011-2012 Kia Sportage vehicles. According to the lawsuit, the Hyundai and Kia vehicles are equipped with gasoline direct injection (GDI) engines that suddenly stall or catch fire. Hyundai and Kia allegedly knew years ago the GDI engines were defective but waited years to recall the vehicles. The GDI lawsuit was filed by plaintiffs Linda Short and Olivia Parker who do not allege their vehicles suffered any problems. Short says she leased a new 2013 Hyundai Tucson then purchased the vehicle while it was still under warranty. But the plaintiff claims she wouldn't have paid what she did for the Tucson, or would have paid less, if she would have known the vehicle could stall or catch fire. Plaintiff Parker says she purchased a used 2014 Kia Soul in 2018 but wouldn't have paid what she did for the Tucson, or would have paid less, if she would have known the vehicle could stall or catch fire. The plaintiffs say they are skeptical Hyundai and Kia recalls can or will repair the alleged defects. In addition, the automakers only recently started recalling the vehicles based on different defects. The lawsuit references a recall of 2012-2016 Kia Soul vehicles with catalytic converters that may overheat and damage the connecting rods resulting in engine failures and oil leaks. However, the plaintiffs claim the recall came too late because Kia allegedly knew about the problems since 2016. The lawsuit also points to oil pan problems in 2011-2013 Hyundai Tucson and 2011-2012 Kia Sportage vehicles, problems that can lead to stalled engines and fires. Recalls were recently issued for the problems, but the lawsuit alleges the automakers waited years to issue the recalls and put customers and other consumers at risk on the roads. Other actions include a formal investigation by the government into the recalls of 1.7 million Hyundai and Kia vehicles and the expansion of the investigation after 400 complaints of fires. In addition, engine problems caused Hyundai to recall 470,000 vehicles in September 2015 following reports of damage to the connecting rods. Then the automaker expanded the recall by 572,000 vehicles in 2017, and Kia recalled more than 618,000 vehicles because of engine problems. The lawsuit further references actions taken by Congress to dig up answers about Hyundai and Kia engine fires, and the plaintiffs mention how the automakers refused to appear for a formal hearing. 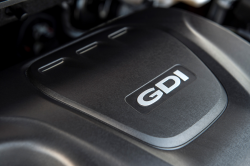 According to the GDI engine lawsuit, even if the recalls remedy the problems, customers will still be stuck with vehicles with bad reputations and worth less than they should be. The Hyundai and Kia GDI engine lawsuit was filed in the U.S. District Court for the Western District of Washington at Seattle - Linda Short and Olivia Parker, et al., v. Hyundai Motor America, Inc., et al.